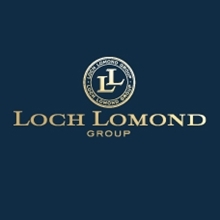 Blended Scotch whisky brand produced by the self-sufficient Loch Lomond Group at its multi-functional Loch Lomond distillery, value-priced and mainly sold in the United Kingdom. Since the Loch Lomond distillery opened in 1966, it has produced a wide variety of different whiskies using a diverse array of stills, including single malts, single grains and blends. High Commissioner is a value blended Scotch whisky that has been hugely popular in the UK, although sales have fallen back somewhat in recent years. The brand also sells well in Burma and the Middle East. Blended Scotch whisky High Commissioner in many ways encapsulates the philosophy pursued by Sandy Bulloch during his tenure at Loch Lomond – wholly produced at the self-sufficient Lowland distillery and value-priced. High Commissioner was well established during the 1970s, and sold as a no-age-statement and five-year-old blend across A. Bulloch & Co’s Scottish chain of shops. A softly fruity whisky with a touch of caramel and a whisper of peat, High Commissioner has since enjoyed considerable success in its home market of the UK, as well as – perhaps surprisingly – in Burma and Oman. The brand recorded sales of more than 1m nine-litre cases several years ago, but sales have dropped away somewhat since then to about 700,000 cases a year. Once the third-ranked blend in the UK behind The Famous Grouse and Bell’s, it is now placed fifth.